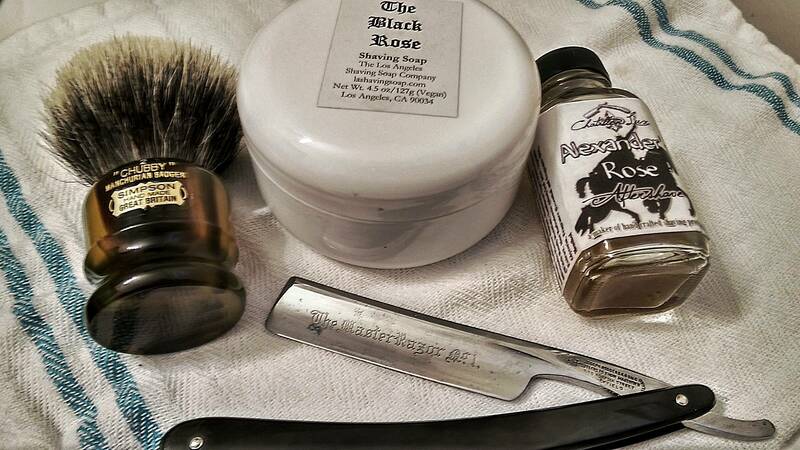 I've caught the straight razor bug pretty hard. 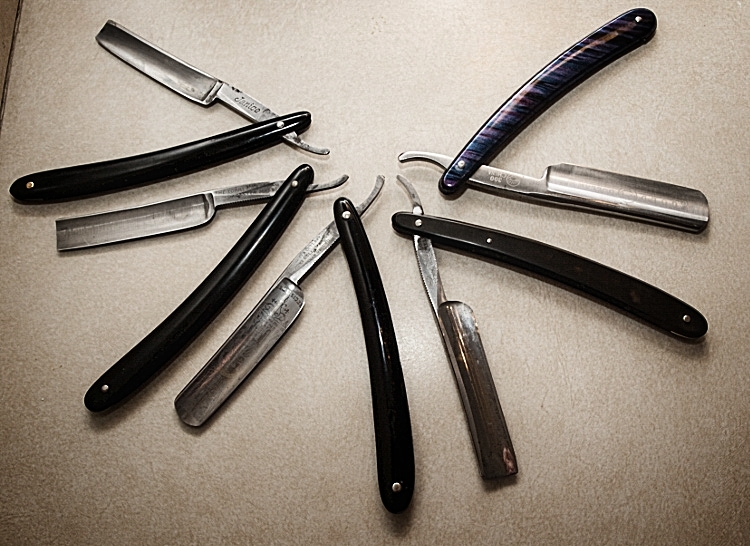 I've been pretty lucky, though, and I've ended up with 5 good razors for very reasonable expense. I imagine I will get a couple more, as well. I'd like to try a wedge and/or near wedge. And I would really like to get these ones re-scaled at some point, because they are all good shavers with different attributes and worth hanging on to for a while. The Torrey is my favorite, followed pretty closely by the Taylor Eye witness. 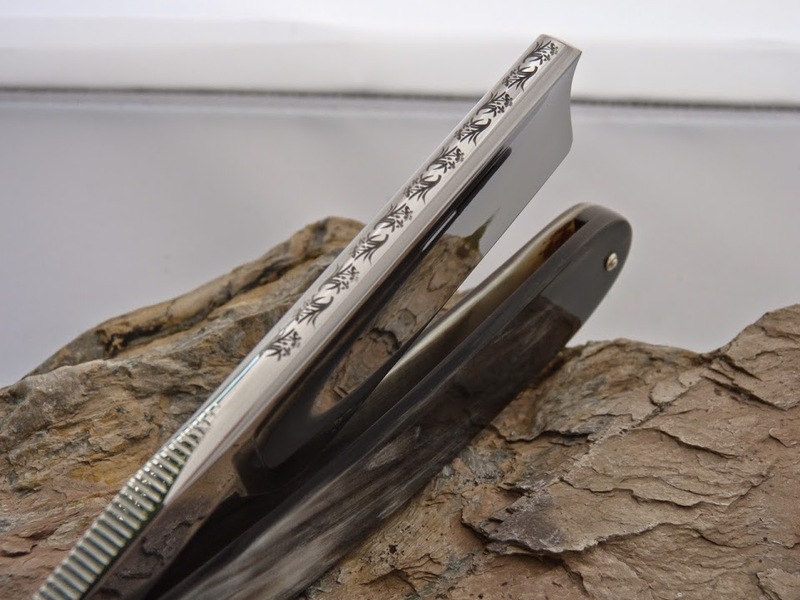 Both are very smooth razors. The Torrey is a bit more efficient and has a really nice sound. The Taylor is a lot smoother, but isn't quite as efficient. I really like how solid it feels too. Anyhow...That's my modest collect. Nothing fancy but I'm happy with all of them. Your turn! Show off your straights! So I currently have two straights, I have had more in the past but found it was not worth it as I don't get loads of time to use them. 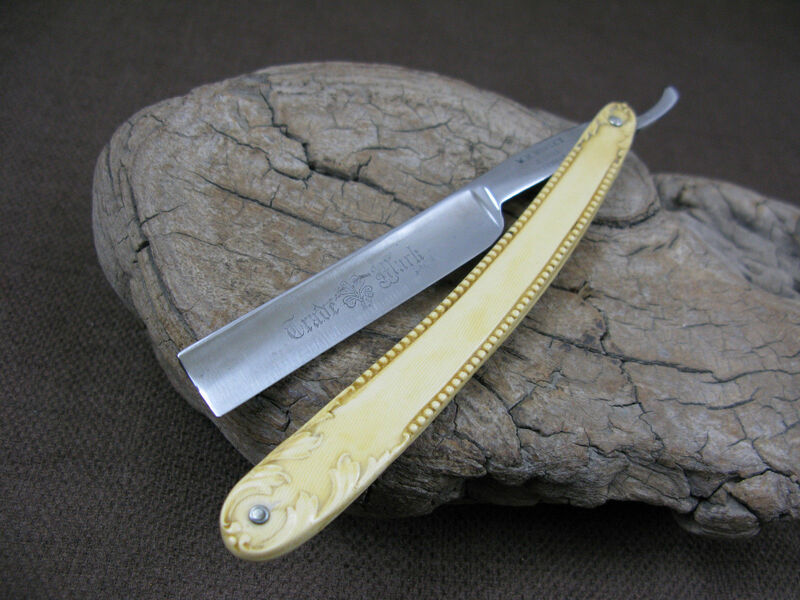 Kropp 5/8 - I found this without a set of scales but the blade was in immaculate condition so I had the scales made. 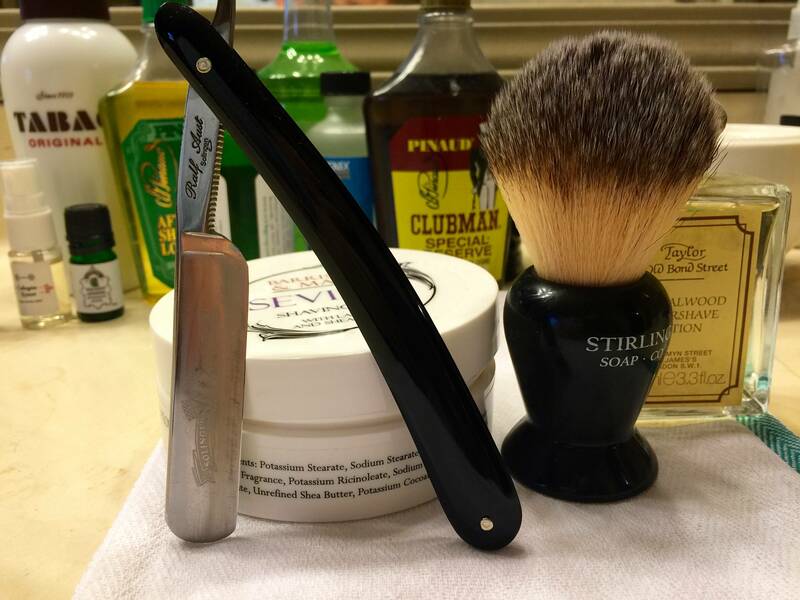 Wade & Butcher 6/8 - Very similar story, blade in great condition but the scales were a mess so I had them removed and new ones made. Optometrist absolutely beautiful collection of razors. I don't have any straights to take a picture of at the moment. GD-300- purchased from the Stallion and in transit. Will take a picture when that are both back in the den. I've had this for a little while now but never reach for it. I just prefer a DE razor. It's a shame really because it's a nice razor. It will have to make its way in to someone else's hands soon. Beautiful straights all- I love seeing these, both old and new. 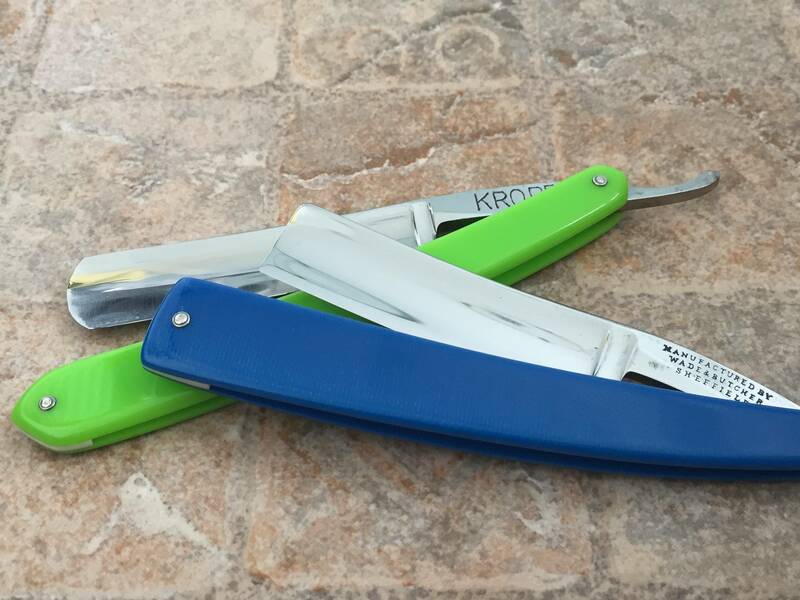 (05-02-2016, 01:20 PM)WindsorCitrus Wrote: Optometrist absolutely beautiful collection of razors. Tough to beat a pretty straight. I don't have pictures of all of my straight razors. Some are pretty generic though. 2. Dovo Best Quality -- black scales. 5. One similar to this is on it's way to me now. It's a Ralf Aust 7/8 with horn scales.